It might have been easy to dismiss Shrag as a shouty indie band early in their career but now, three albums in and signed to Fortuna Pop, it’s time that people started paying a bit more attention. That’s not to say that the band are doing anything different, they’re just doing it better. Canines still has bags of energy. There’s still the spiky guitars underpinned by a tight rhythm section. There’s still the girl / boy vocals, with Helen King’s lines being full of vitriol and urgency and at the same time hope and naivety, and still the vocal hooks that stick with you (“I think you might need those knees for kneeling” on Devastating Bones, and “No-one likes the tears of a landlord” on, er, Tears of a Landlord). But a few more years on the clock and the company of their new record label has brought a maturity to the band. The vocals sound less petulant, and the rich vocabulary – which was always there – is pushed to the fore. When was the last time you heard the word “genuflect” in any lyrics? Chasing Consummations doesn’t have a guitar solo halfway through, it has a string quartet breakdown, and album closer Jane With Dumbbells builds up to be an epic, growing from nothing but voice and guitar, bigger and bigger, until the then discord clashing chords drop away away leaving beautiful slow motion strings to accompany the last verse. 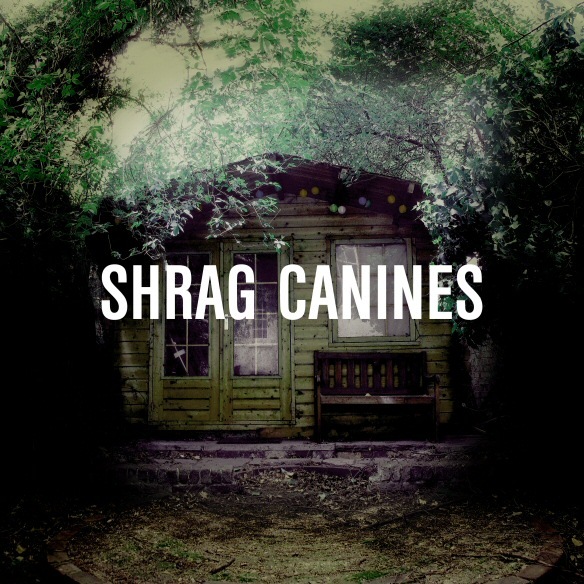 And then there’s On The Spires of Old Cathedrals, which has officially become the defining moment where Shrag have elevated themselves from being a really like to a band I love. It starts off with business as usual, and then around two minutes in everything drops away leaving the bass and the drums. And then the synths return, and then a guitar line which could have been written by Peter Hook, and for a few moments it’s like a long lost b-side to Perfect Kiss before it’s back to a Shrag track. But it’s not about Shrag ripping off New Order – it’s about the simple ingredients that make up a fantastic indie song. You don’t need orchestral arrangements or singers who could win The Voice. You can create real magic with raw talent and passion. This entry was posted in Uncategorized and tagged album, Blog, Brighton, Canine, Music, Review, Shrag by brightonmusicblog. Bookmark the permalink.